Are you hungry? 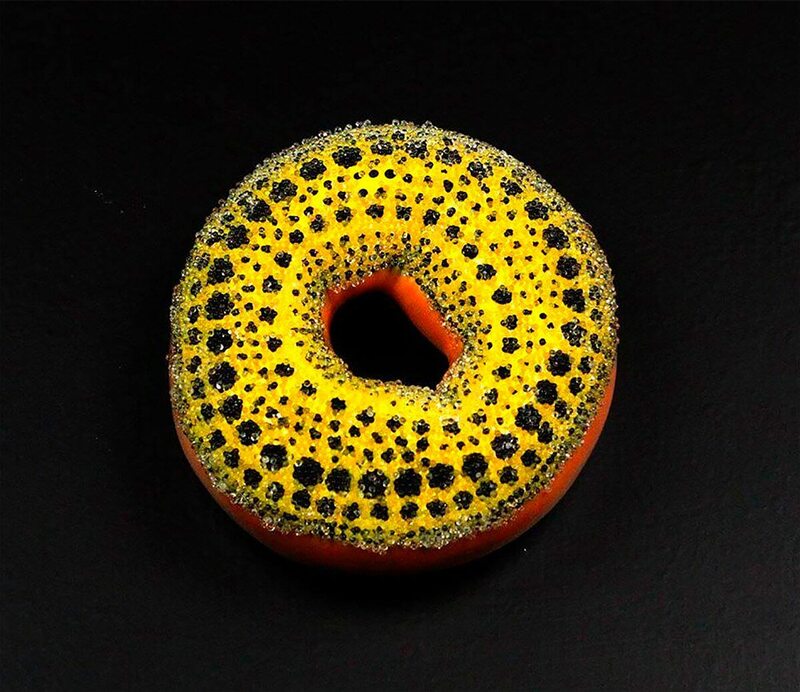 Would you like a delicious, colorful donut to make your day brighter? Do you think it will help put a smile on your face? You’re already drooling, right? Well, bad news, it’s not eatable! 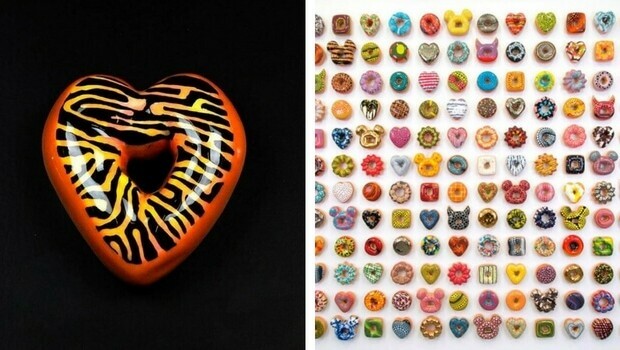 All these aesthetically pleasing donuts you are about to see below are made from ceramic. 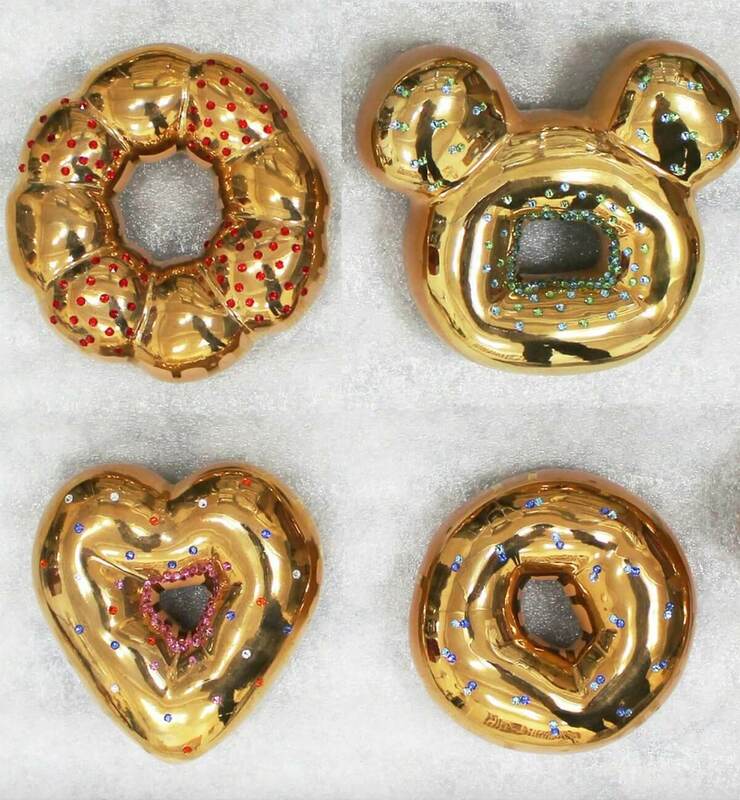 How does the artist succeed in making them so appealing and eatable and delicious, you shall find out below, but we seriously have to ask, why would you do this to us WHY?? 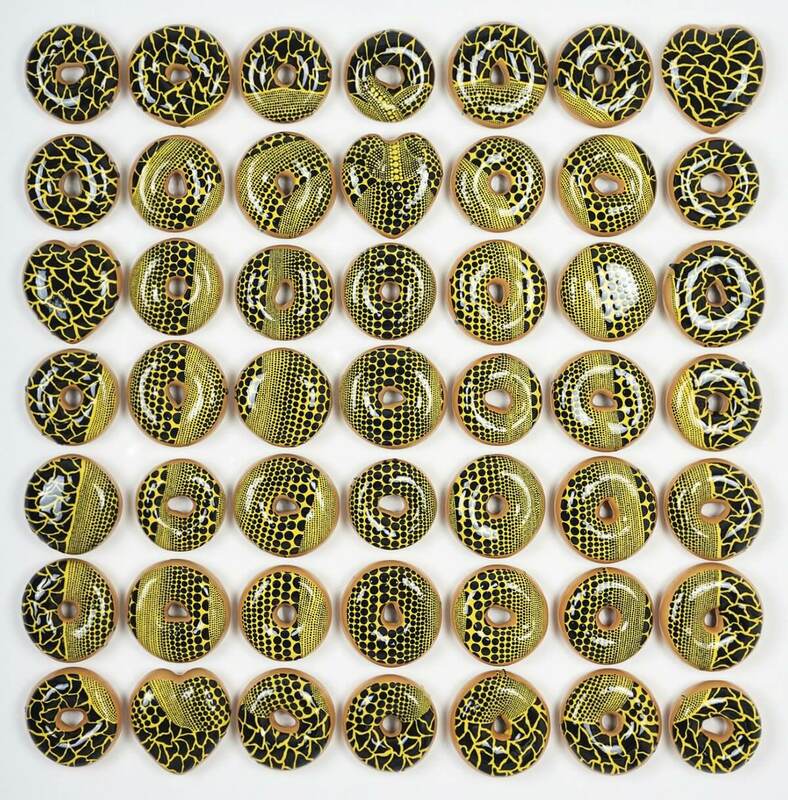 The man behind these tricky donuts is the South Korean artist Jae Yong Kim. 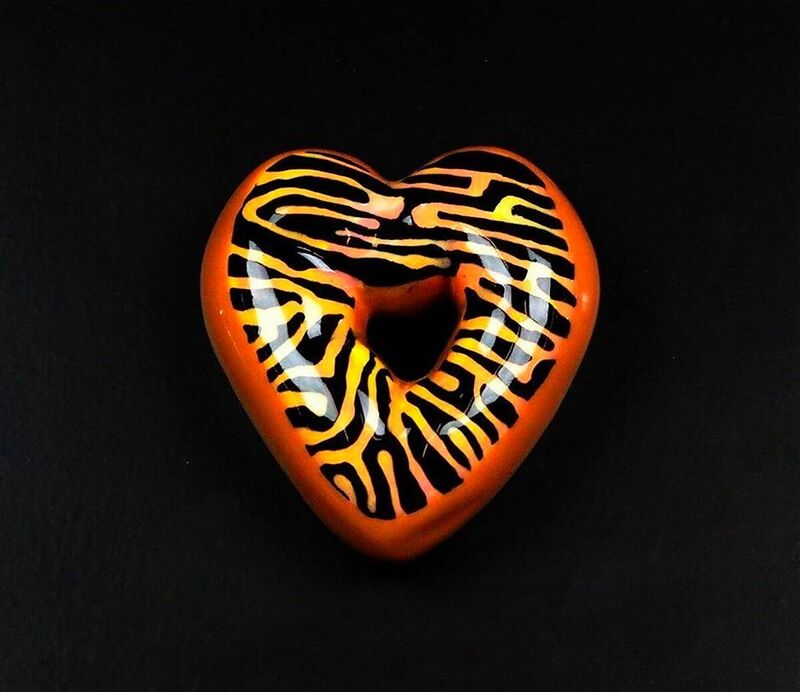 He is using clay, glitter, paint and… Swarovski crystals believe it or not. They are some precious donuts! 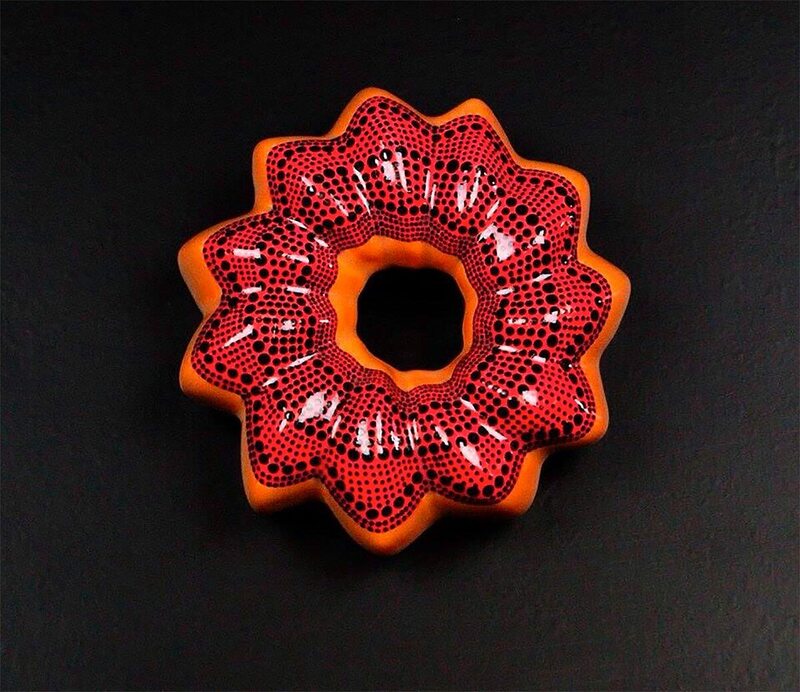 Kim uses patterns, images and colors that bring you back to a sort of combined past and present pop culture. 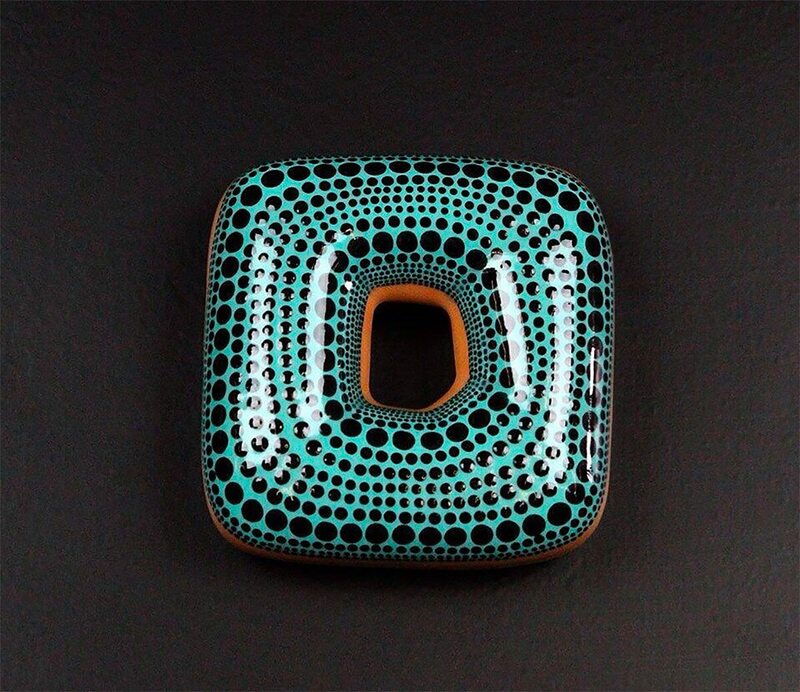 If you are a painting enthusiast, you might be able to recognize some splashes of colors from Jackson Pollack or Yayoi Kusama’s concentric dots. Taking into consideration that all of these are put in the form of food, consumers are in the position to ask themselves why and what kind of images and culture they’re actually consuming. 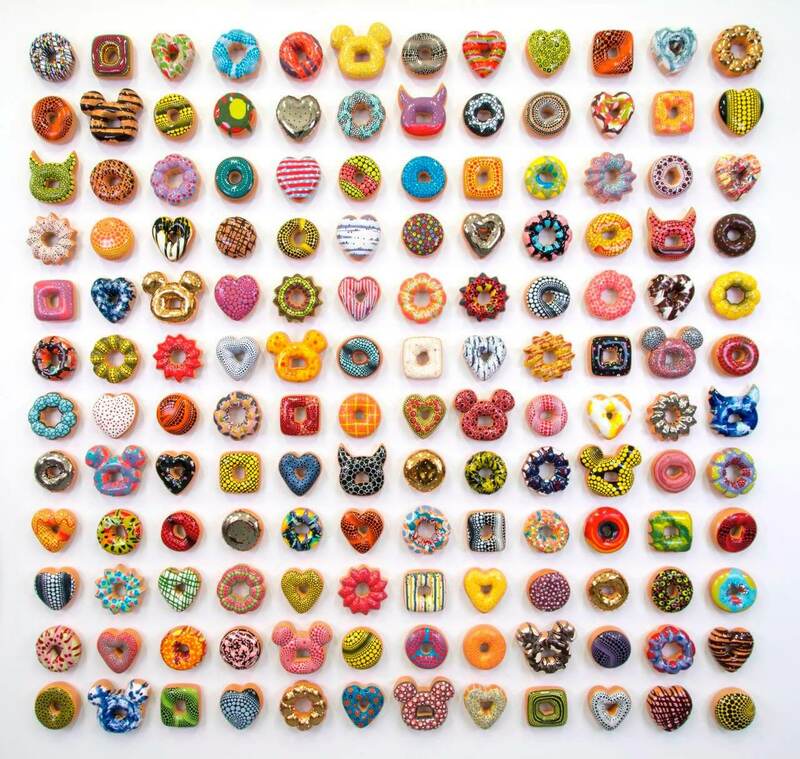 “Questioning myself regarding the donuts falling in line with a specific genre has brought questions and need for understanding. 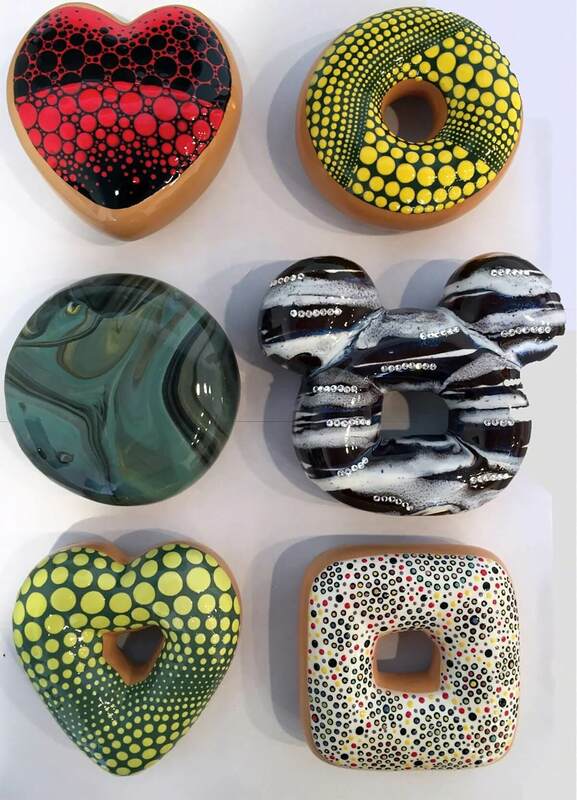 Each individual donut has invariably read to me as a small painting; color, pattern and physicality have been the ultimate procedure for my personal expression”, says Jae Yong Kim. 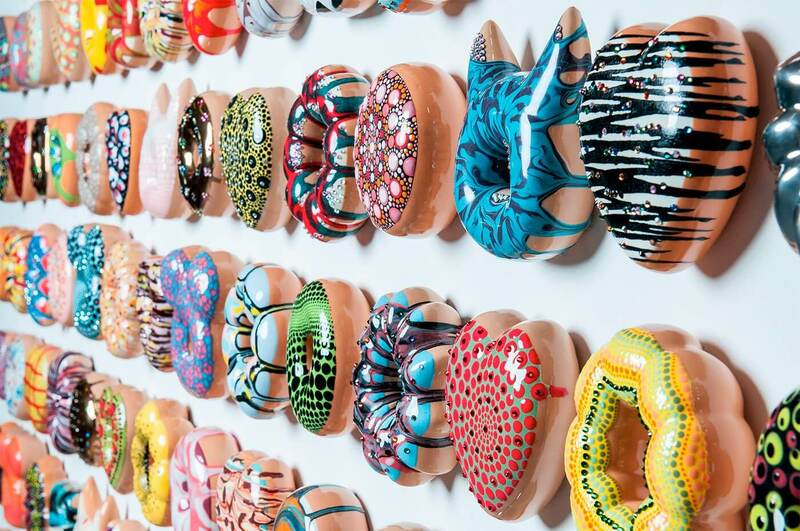 The only thing that comes to mind when looking at these ceramic donuts by artist Jae Yong Kim is Why?